Yahoo has followed up its $1.1bn acquisition of Tumblr by unveiling a complete overhaul of Flickr, its photo sharing service. Flickr, which has been overshadowed and overtaken by the likes of Instagram, gets a new look for the desktop and its Android app and users get a terabyte of storage. The storage is a big move. It is more than anything else on offer, and will apparently hold more than 537,731 photos. Marissa Mayer, Yahoo's chief executive officer, said: "You can take all the pictures ever taken and upload them to Flickr... and there would [still be room]. "Flickr was once awesome, and it languished... now we want it to be awesome again." She said the new site will showcase "bigger images" and create an experience that is "more immersive, more expressive". Earlier in a blog post Mayer promised that Yahoo would try "not to screw it [Tumblr] up". She stressed that the deal with Tumblr was unconnected, but was fortuitous timing as journalists and analysts would focus on the struggling internet company for a few more hours. The revamp introduces Flickr pro-subscription accounts, but will maintain an ad free, paid-for option, called Ad Free, as well as an option for power users called Doublr. 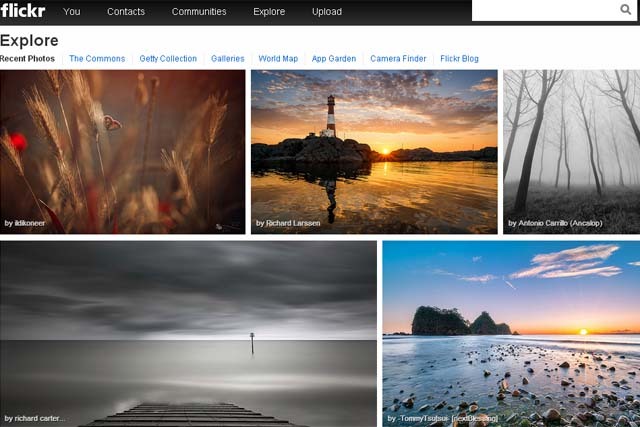 Flickr will also display new ad formats, which are currently under development by Yahoo. Albums get a new-look cover photo, images are presented in streamlined in rows, and uploaded photos will be seen in full resolution, wherever they are viewed. The changes are the biggest since Flickr joined Yahoo almost eight long years ago. Mayer said at first it "didn't fare so well" and it failed to adapt with the arrival of social media. Today Flickr has around 89 million users and more than eight billion images have been uploaded.